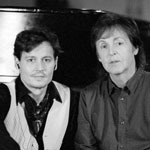 October 24 marked the release of Paul McCartney’s second video from his new album, aptly named “New.” Titled “Queenie Eye,” after a children’s game, Paul enlisted the assistance of a large group of pals—including Johnny Depp—to appear in the video. 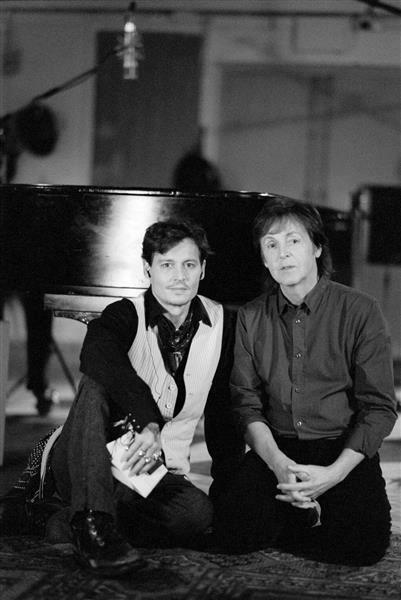 A larger picture of Johnny and Paul is available HERE. The Zone thanks taba for sharing the video. 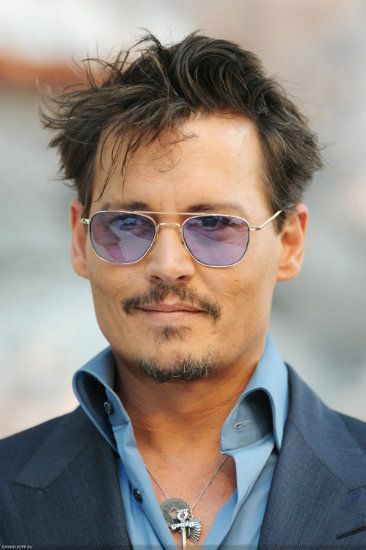 Principal photography began today, October 21, on Johnny Depp’s new movie, Mortdecai. The press release from Lionsgate and Oddlot Entertainment reads: “Lionsgate and OddLot Entertainment announced today that principal photography has begun in London on the action comedy Mortdecai. Based on the popular three-novel anthology by Kyril Bonfiglioli, which has amassed a significant cult following, the film features an all-star cast including Johnny Depp, Gwyneth Paltrow, Ewan McGregor, Paul Bettany and Olivia Munn. Guy Burnet, Michael Byrne, Michael Culkin, Jonny Pasvolsky, Ulrich Thomsen, and Paul Whitehouse have also joined the cast of the film which David Koepp is directing from a script written by Eric Aronson. 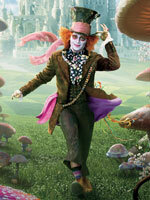 Andrew Lazar, Johnny Depp, Christi Dembrowski and OddLot’s Gigi Pritzker are producing the project. The story line for the movie looks to be a good one: terrorists, stolen paintings, hidden Nazi gold, and of course, the debonair and roguish Johnny Depp. Good luck and smooth sailing to everyone involved with the production. We’ll be waiting anxiously for this gem to be released in 2014! Categories: Uncategorized | Tags: | Comments Off on MORTDECAI begins filming! 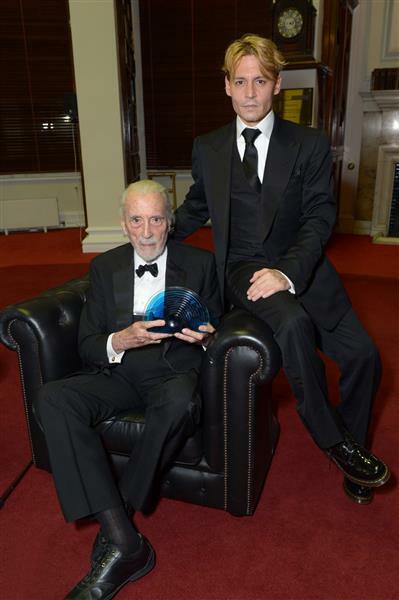 Saturday night, October 19th, a newly blonde Johnny surprised his friend Sir Christopher Lee by appearing on stage to present Sir Christopher the British Film Institute Fellowship award for his long and illustrious film career. In his presentation, Johnny said: “It is my great honor to bestow this award to a very great man. He’s inspired me like he has so many, he’s fascinated me like he has so many. “He’s been a wonderful individual and over the years I’ve had the pleasure of working with him and it has been a childhood dream come true. But as great as it is to work with him, that pleasure doesn’t compare with getting to know him and being able to count him as a true friend. A little later in his acceptance speech, Sir Christopher again spoke about Johnny’s surprise appearance. 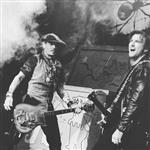 “Somebody told me Johnny wouldn’t be able to come tonight as he was somewhere else in Europe. “I can’t thank you enough. “He means an enormous amount to me. He is one of very few young actors on screen today who’s truly a star. I don’t think he likes that expression very much but I’m sure he knows what I mean. Everything he does has a meaning. He’s a joy to work with, an actor’s dream and certainly a director’s dream. I could go on a long time but I’d probably embarrass him. Congratulations to Sir Christopher on this impressive honor! 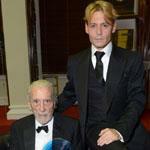 To see a larger image of Johnny and Sir Christopher together, click HERE. Thank goodness for Twitter! Young Daniel Huttlestone, who played Gavroche in last year’s Les Miserables and will be playing Jack (of beanstalk fame) in Rob Marshall’s film of the Stephen Sondheim fairy-tale musical Into the Woods, tweeted this on Sunday: “Start INTO THE WOODS tomorrow. So exciting !! Get to meet Johnny Depp, Meryl Streep, James Cordon ect …. Can’t wait !!!!! !” Huttlestone’s follow-up tweet today confirmed that the cast had reported for duty and was hard at work: “Rehearsing at the moment. Going really cool !! Singing with James Corden, Meryl Streep and Johnny Depp !! So exciting! !” He also posted a picture of himself with Corden, who plays the Baker, on his Facebook page HERE. Looks like they’re having fun! 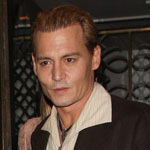 Johnny Depp is playing the Wolf in the Disney production, in an ensemble that also includes Meryl Streep as The Witch, James Corden as The Baker, Emily Blunt as The Baker’s Wife, Anna Kendrick as Cinderella, Chris Pine as Cinderella’s Prince, Billy Magnussen as Rapunzel’s Prince, Mackenzie Mauzy as Rapunzel, Lucy Punch as Lucinda, Tammy Blanchard as Florinda, Christine Baranski as Cinderella’s Stepmother and Tracey Ullman as Jack’s Mother. Best wishes to all as they begin their work! The Zone thanks emma for sharing the news; you can read more about Into the Woods on the Zone’s News & Views forum. Producer Jerry Bruckheimer, director Gore Verbinski, and actors Johnny Depp, Armie Hammer, Ruth Wilson, Tom Wilkinson, and Harry Treadaway met the British press to promote The Lone Ranger on Monday, July 22. While some of the questions trod familiar ground, journalists did venture into fresh territory, as when one reporter asked Johnny about the impact of his role as one of The Lone Ranger‘s executive producers. Q: Johnny, you are Executive Producer on this. I wondered what sort of benefits that brought you in terms of decision-making? And Jerry and Gore, how did that affect your relationship with Johnny? JERRY BRUCKHEIMER: Well, I think he got to the craft service line ahead of everybody else. (Laughter) So I think that worked for him. JOHNNY DEPP: Yeah. And I got a chair. (More laughter) And a trailer. Coffee, occasionally. (He chuckles, and then grows serious.) You know, the executive producer credit was a beautiful gesture from Jerry, just out of the kindness of his heart, to hand me that title. Primarily because we were all in it from the very beginning. As I said before, from the very seed of the project, we were all in there, in all the script meetings and whatnot, and that, for me, was plenty — that was beautiful, to be welcomed into that part of the process. But then for Jerry to give me that title was . . . yeah, that was quite a shock. So basically, what I’m saying is, I didn’t do anything. JERRY BRUCKHEIMER: That’s not quite right, because it wasn’t an honorary thing. It was something that . . . he [Johnny] brings so much creativity to the process, and to have him in, in the script meetings early on, conceptualizing the character — his character and other characters — it helps us so much, because he’s got such a wealth of creative knowledge that he puts layers on the script and the story. It was a pleasure to bring him in really early, and creatively it was fantastic for the movie. The Zone thanks Theresa for sharing video of the UK press conference; a larger photo of Jerry, Johnny and Gore is available HERE. You can read more about The Lone Ranger on the Zone’s News & Views forum. 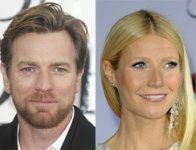 Gwyneth Paltrow and Ewan McGregor are in talks to join Johnny Depp in the crime caper Mortdecai, which will be directed by David Koepp. Variety reports that Lionsgate is “fast-tracking the project with a high-profile team.” According to Variety, Mortdecai will go into production late this fall, after Johnny finishes Rob Marshall’s musical Into the Woods. Paltrow, an Oscar-winner for Shakespeare in Love, was most recently seen playing Pepper Potts in Iron Man 3; McGregor will be seen in August: Osage County (with Julia Roberts and Meryl Streep) this fall. Mortdecai is based on a series of books by Kyril Bonfiglioli. Roguish art dealer Charles Mortdecai is in a race to recover a stolen painting rumored to contain the code to a lost bank account filled with Nazi gold. 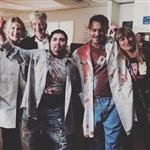 Andrew Lazar is producing Mortdecai with Infinitum Nihil’s team of Johnny and Christi Dembrowski. You can read more about Mortdecai on the Zone’s News & Views forum. The Variety article is available HERE. 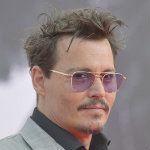 Asked if he was “disappointed” in the film’s performance at the U.S. box office, which “hasn’t lived up to many people’s expectations,” Johnny replied, “No, because I don’t have no expectations . . . but other people do. I think critics were especially upset that it didn’t really tank. I think they were hoping it would really take a dive.” The Lone Ranger has currently earned more than $81 million in North America and almost $150 million worldwide. The Zone thanks emma for sharing the BBC interview; you can read more about The Lone Ranger‘s London premiere on the Zone’s News & Views forum. 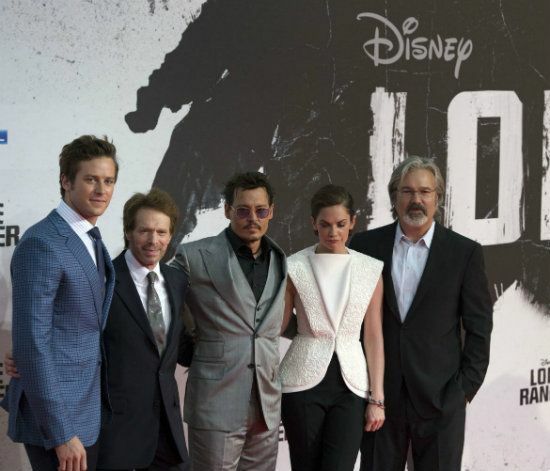 THE LONE RANGER premieres in London–new photos of Johnny! 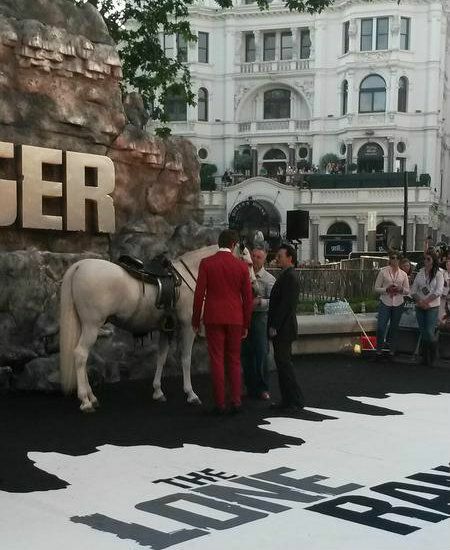 When Disney Movies UK tweeted yesterday, “Johnny Depp & the stars of #TheLoneRanger arrive on the red carpet from 5.30pm tomorrow for the UK premiere @ODEONCinemas Leicester Square,” we didn’t realize that “the stars” would include the scene-stealing white horse who plays Silver, or that the “red carpet” would actually be white! But Silver, sporting a spiffy silver-trimmed saddle, stood proudly in Leicester Square and posed for pictures with Johnny Depp and Armie Hammer. 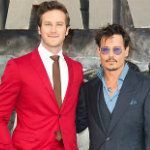 Johnny wore a charcoal gray three-piece suit with a blue shirt, and Armie wore a two-piece red suit with a white shirt and dark red tie. Photos from the London premiere are available HERE. 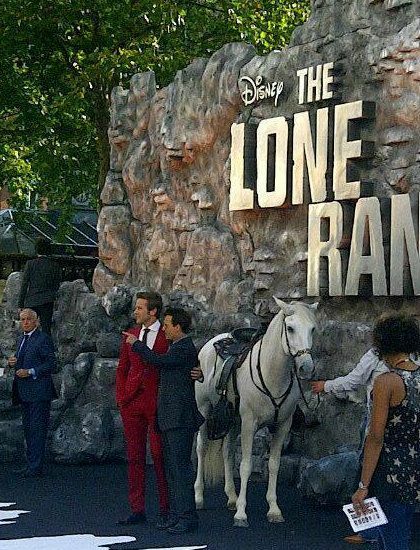 Many thanks to humiliatedgrape and our friends at johnnydepp.ru for sharing photos; you can read more about the London premiere of The Lone Ranger on the Zone’s News & Views forum and Pit General Discussion forum. Categories: Uncategorized | Tags: | Comments Off on THE LONE RANGER premieres in London–new photos of Johnny! 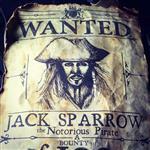 Johnny Depp attends Berlin premiere of THE LONE RANGER–new photos! German fans gave Johnny Depp and his Lone Ranger colleagues — producer Jerry Bruckheimer, director Gore Verbinski, and co-stars Armie Hammer and Ruth Wilson — a warm welcome at the red carpet premiere of The Lone Ranger in Berlin on Friday, July 19. 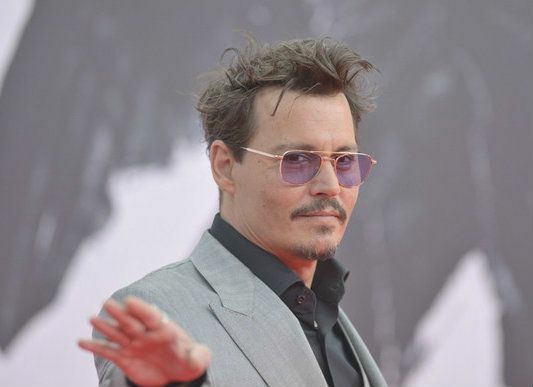 Wearing a gray suit and black shirt, Johnny gave many interviews for German media and signed autographs for well-wishers who waited patiently behind barricades for a chance to say hello, shake hands, or take a quick picture. Photos of the Berlin premiere are available HERE. The Zone thanks Aida and Theresa for sharing photos; you can read more about The Lone Ranger‘s Berlin premiere on the Zone’s News & Views forum and Pit General Discussion forum. Categories: Uncategorized | Tags: | Comments Off on Johnny Depp attends Berlin premiere of THE LONE RANGER–new photos! 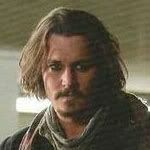 TV ALERT–Johnny Depp’s appearance on THE LATE SHOW with David Letterman re-airs tonight, July 19th! If you missed Johnny Depp’s appearance on The Late Show with David Letterman on June 27th — or you would just like to watch it again and chuckle — the show will be rebroadcast tonight, July 19. Johnny and Dave talk about The Lone Ranger, of course, which Dave praises as “wildly entertaining.” They also discuss fatherhood, what it’s like to turn 50 (“just another decade,” they agreed), Johnny’s acting process, and his connection to the Native American community. The Zone thanks FANtasticJD for sharing the news. 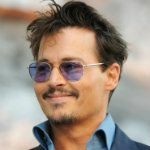 Categories: Uncategorized | Tags: | Comments Off on TV ALERT–Johnny Depp’s appearance on THE LATE SHOW with David Letterman re-airs tonight, July 19th!